A must-eat when you visit Hong Kong. Bask in the morning yum cha culture as wait staff brisk around to seat customers, take orders and serve piping hot baskets of steamed har kau and siew mai. 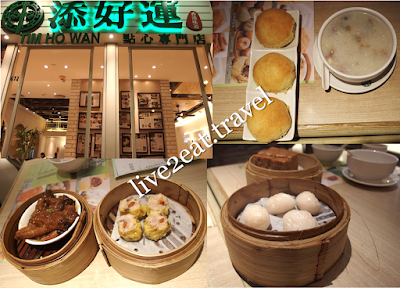 During my most recent trip, we visited Tim Ho Wan at Olympian City and were seated immediately. Here, the Steamed Egg Cake had a more distinct caramelised taste than Singapore's and the Baked Buns with BBQ Pork was sweeter. Could neither rave about the Steamed Prawn Dumplings nor fault the Steamed Pork Dumpling with Shrimp and Chicken Feet with Black Bean Sauce. The latter two were similar to that in Singapore. 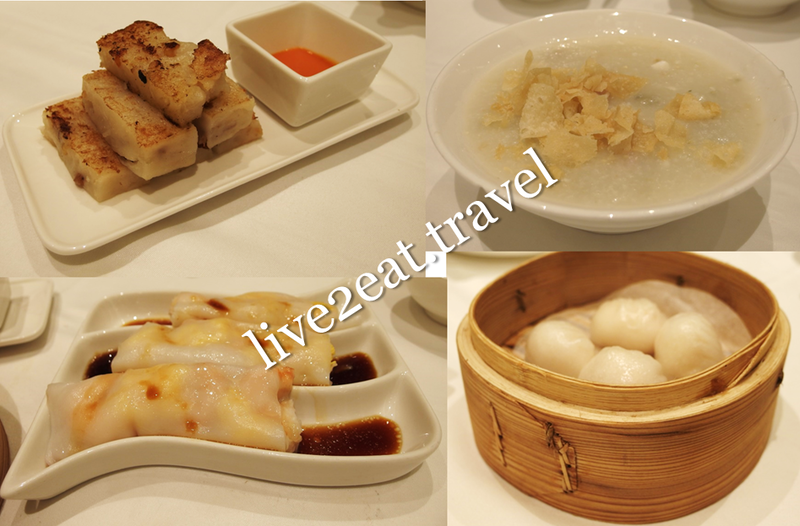 Also tried dim sum at Jasmine Garden, a Maxim's Chinese Cuisine outlet operated under Maxim's Catering Limited and located on the 3rd floor of Langham Place. Established since the 1970s, Maxim's Group's first Cantonese restaurant offers up to 45% discount on selected items such as Pan-fried Turnip Cakes and Congee on weekdays before the lunch crowd throngs in and for afternoon tea (between lunch and dinner). We liked that the food was light on the palate – not too sweet, salty or oily. According to its website, vitamin-E rich and cholesterol-free rice bran oil is used with no MSG added. An item we ordered that we have not come across elsewhere is the Steamed Rice Rolls with Egg and Prawns. Nothing we could fault as the prawns were fresh but not impressive either as the ingredients tasted disparate. Nothing beats egg tarts and baked goods fresh from the oven. Other than po lo bao and lou po beng, Hong Kong bakeries churn out pillow-soft breads and fluffy cakes. Most often than not, we would buy some at night before returning to our hotel so we could either eat them as supper if hungry or leave 'til the next day for breakfast. Kee Wah Bakey and Maxim's Cakes can be found almost everywhere. Without fail, I would buy baked goods back from the former even when I was on transit – choices are limited at the airport branch though (check out my posts on Chinese New Year and Mid-Autumn Festival). Similarly, there are many branches of Tai Cheong Bakery but it was at the main Central branch that we tried its egg tart. Sniff the aroma of butter and egg, and bite into crispy crust that crumbles in the mouth. Loved how the silky-smooth and tofu-like egg filling melted in my mouth and slid down my throat with ease. This is a tad better than Singapore's.